Hello Readers! It's been quite a while since I last guest posted. As a matter of fact exactly four months, or in other words one semester of grad school. To my dismay, my writing and research of late has more to do with the Blues Brothers, Randy Weston and Fred Astaire than bars and cocktails. OK, it's not such a bad gig, but I did miss the rigorous mixological testing required to write a post! Today I bring you the Blackbeard, a cocktail I've only found in one bar, once, more than fifteen years ago. Picture it if you will: My 21-year-old self, along with a certain friend I will only identify by his initials (TMO) are whiling the Spring 1997 semester away in London as part of the Syracuse University International Live Abroad and Pretend to Study Program. Spring break comes and we're off to Edinburgh, Scotland to meet up with my friend Andy, a true Scotsman -- gregarious, burly (former national U-19 rugby player), and generous to a fault -- who I met while working as a camp counselor the year before. After a long evening of carousing and paradin' about the city, Andy suggests that we drive out to his hometown of Musselburgh for a nightcap at his local pub. TMO and I have never passed up a free drink in our lives, so we consent to the 10km trek in search of the perfect end to the evening. And found it we did! It was on this night that I was introduced to the Blackbeard, perhaps the most perfect last drink I've ever had. 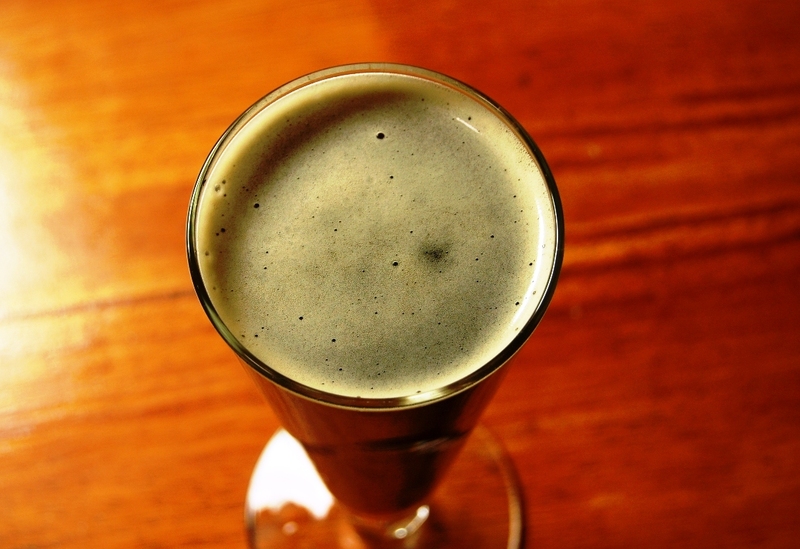 Mix Kraken and cola in a Imperial half-pint glass (or whatever 10 ounce-ish glass you happen to have on hand), top with Guinness (from a tap if you can, if not the draft cans/bottles will do fine). The original Blackbeard calls for Captain Morgan, Coke and Guinness, but we just couldn't resist trying a few substitutions. 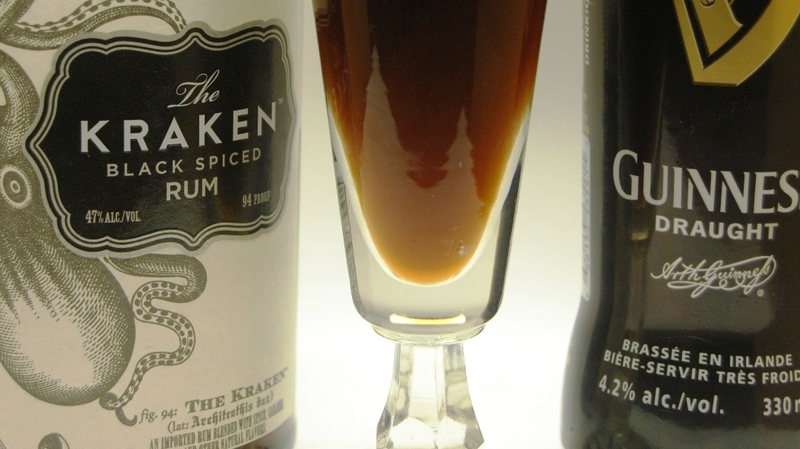 We found the Kraken added a depth to the flavor that the Capt. couldn't muster (while keeping the pirate theme in place) and the homemade cola... well, that stuff makes everything better! So just why is this fairly odd-sounding, Frankencocktail a great way to end a night of drinking? Why have I been bugging bartenders for years to recreate this for me? I've never really been able to really pick apart just what it is... I think perhaps it has just the right mix of creamy texture (from the Guinness), sweetness (from the Coke) and kick (from the rum) that has something to do with it. What I do know is, that when made right, the Blackbeard leaves you with a warm, content, time-to-take-the-last-train-home feeling.